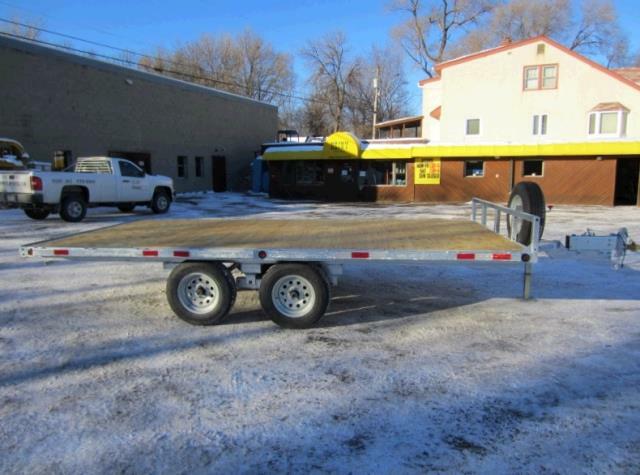 TRAILER, 8'5"X16 FLATBED 3000 LB. Used for boat lifts, ATV's, decking lumber, swingsets, etc. CANNOT be used to haul sod pallets or hay bails. Has 2 Ramps . LOST RAMP $225.00 TO REPLACE . Weight Capacity - 3000 lb. Trailer Weight - 1500 lbs.